CO-SENDER is an email, SMS and social marketing platform which enables marketers to create and send emails, newsletters or SMS messages, as well as post to Facebook or Twitter using a range of tools like a drag and drop designer, custom HTML editor, campaign scheduling technology, contact segmentation, and more. Features included with every CO-SENDER plan include email and SMS personalization, real-time reporting, statistics on delivery, openings, clicks, etc, and live chat, phone and email support. 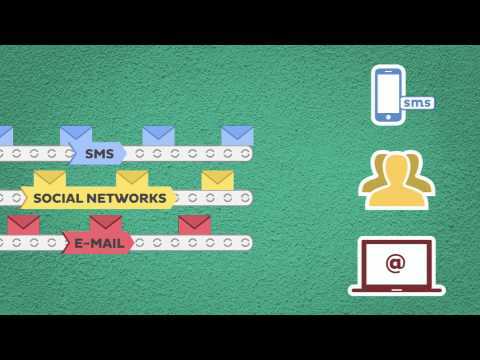 CO-SENDER supports centralized communication management, allowing users to create, send and track email, SMS or newsletter marketing campaigns all from a single location. Users can create emails and newsletters quickly using the drag and drop designer and built-in template gallery. No IT or design skills are required to create emails using the drag and drop editor. The custom HTML editor allows users to create and design content like a professional. Merge tags help users personalize campaign content, allowing them to add items such as the subscriber’s first or last name to the email, newsletter or SMS message. CO-SENDER allows users to start their campaign straight away or schedule, pause or resume a campaign at different times using campaign scheduling tools. Subscriber management and contact segmentation tools help users organize and manage their contacts effectively. Users can upload and update contacts or subscriber information individually or in bulk, as well as segment subscribers based on specific criteria, in order to send targeted messages to the right people. Reporting technology and real-time data allow users to track campaign results and activity such as opens, clicks, unsubscribes, bounces, and more. Users can export campaign reports to a CSV file for further analysis. CO-SENDER supports an API which enables users to create custom integrations with their website, app or service, or integrate with their CRM. The software was easy to learn and understand, how to use and get the most value out of it. - Easy to learn and use; - Reusable subscribers lists; - Comfortable and adjustable by needs subscribers additional information, filters; - A lot of functions with campaigns creation, copying, reusing; the more You use the software, the easier it gets; - Reports are generated automatically, can be accessed at any time. First time import of all subscribers lists was not an easy task, but maybe this depends on how overall subscribers lists were handled before. Also it would be good to have by different client adjustable reports. Best way to touch your client! Maybe I liked least the options of templates - there are many of them, so in the end it's not easy to find the best one which fits my requirements. Easy-to-use and convenient system that facilitates communication between the company and customers. The only disadvantage we encountered that Co-Sender could have more variety of media editing tools. We have no other complaints yet. We use own email template, CO-SENDER have templates, but it can be more, especially in the business gift / presents theme. Great product for simple multi-channel marketing! Enterprise and Government pricing plans start at $399/month. Create and send professional email, newsletter and SMS campaigns quickly using a drag and drop designer, template gallery or custom HTML editor. CO-SENDER supports unlimited subscribers, allowing users to store all of their contacts and grow their subscriber list without restrictions. Campaign scheduling tools allow users to activate their marketing campaign straight away or schedule it for a later date. Users can also pause or resume campaigns when they want. Merge tag functionality enables users to personalize email content with items such as the subscriber’s first or last name for increased content engagement. Use reporting tools and real-time data to track campaign activity, such as opens, unsubscribes, bounces, and more, and make informed decisions to stop, adjust or resume campaigns. Below are some frequently asked questions for CO-SENDER. Q. What type of pricing plans does CO-SENDER offer? Q. Who are the typical users of CO-SENDER? Q. What languages does CO-SENDER support? Q. Does CO-SENDER support mobile devices? Q. Does CO-SENDER offer an API? Yes, CO-SENDER has an API available for use. Q. What other apps does CO-SENDER integrate with? Q. What level of support does CO-SENDER offer?